A couple of years ago, we didn’t know much about avocados, but now we know. We know that it is the most nutritious fruit in the world, we know it is healthy, and we know that we can use it in many ways. And if you didn’t know that you can use avocado except for eating it in salads, we made a list of ways you can use this almighty fruit. From beauty tricks and hacks to some delicious sweets, and even some drinks. Dry lips are the worst nightmare, but you can use avocado to save them. Avocado contains oleic acid that will make your lips soft again. 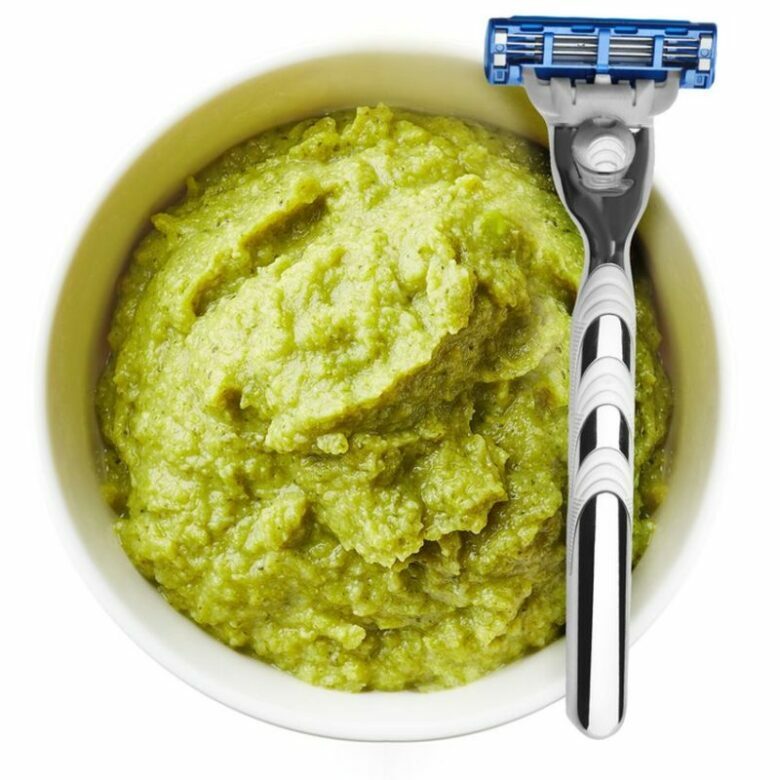 You can make your own avocado lip cream with this recipe: Use one half of ripe avocado and mix it with 1 tsp of olive oil. Apply it on your lips and on the area around them and leave it there for 20 minutes, then rinse it with warm water. Do it 2 times a week if you want to have soft and gentle lips. You don’t need to buy expensive exfoliants, because you can make it at home. And it will be even better and healthier than the one you can buy. 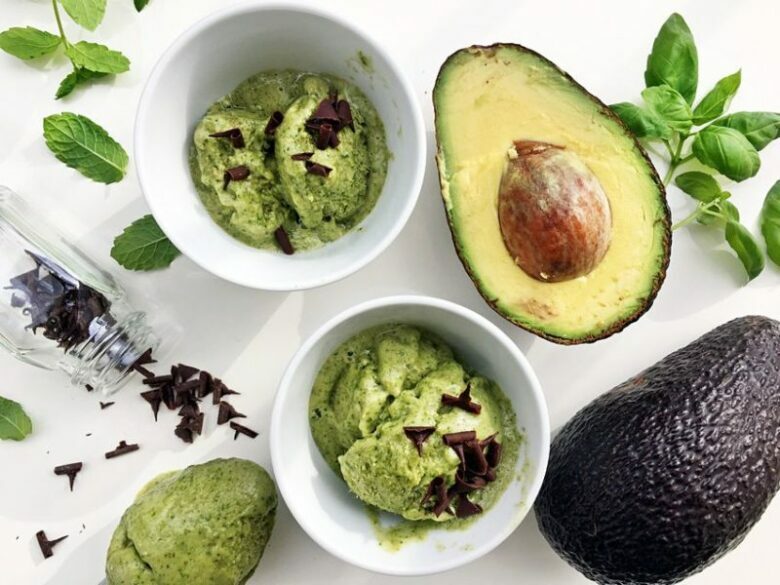 Avocado is great for exfoliation because it has niacin and vitamin E, and these ingredients will make your skin look beautiful and young again. Use one whole ripe avocado, 2 tbsp of oatmeal powder, and a tbsp of raw honey. Mix it all together and massage the mixture into your face. Leave it on your skin for 10 minutes and rinse after with warm water. For better results repeat this once a week. We all have stretch marks and they can be very annoying. But you can to erase them with this avocado cream that is rich in vitamin C and E. It will tighten your skin and reduce your stretch marks. Again, use one whole ripe avocado and 2 tbsp of almond oil. To make the perfect cream use a blender. Apply the cream everywhere that you have stretch marks and massage the cream into the skin. You need to leave the cream for 35 minutes and rinse it with warm water. Depending on how visible your stretch marks are repeated it 2 or 3 times a week. If you have problems with your hair, but you want it to be shiny and soft this is the mask for you. 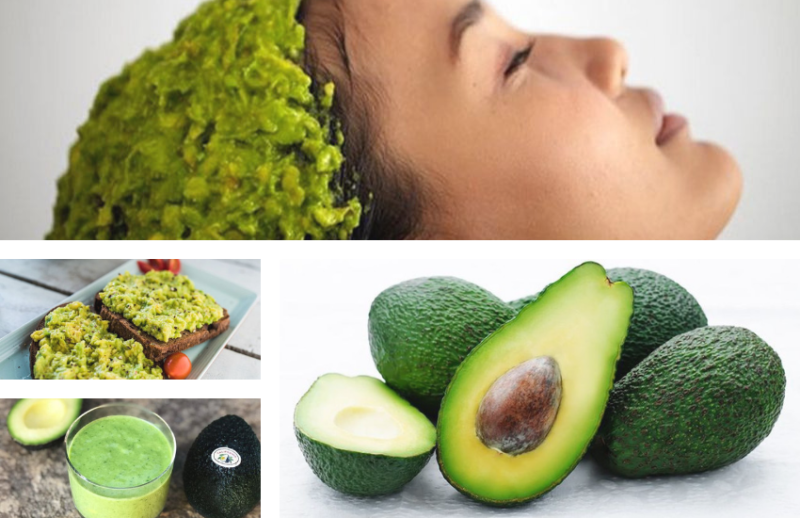 All of the vitamins that avocado has will help your hair look amazing. Use one ripe avocado and mix it with 2 tbsp of almond oil and 1 tsp of salt. You should apply this mixture to your hair’s roots. After you do this, spread the mask over your whole hair and leave it on for 25 minutes. After that, you need to wash your hair. You can repeat it 3 times a week. Shaving can be so annoying sometimes, but you can make it easy with this homemade shaving cream. 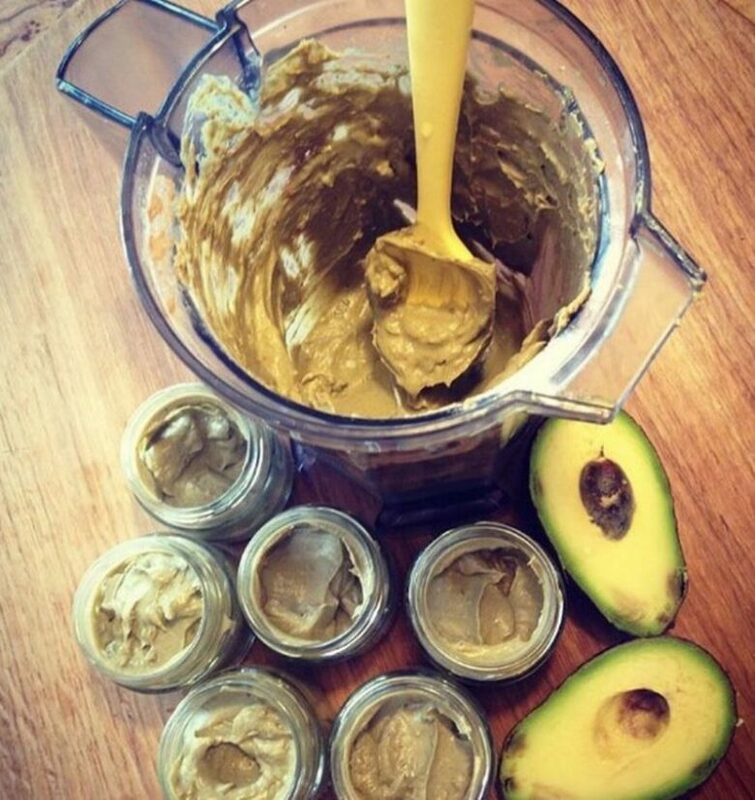 Avocado is full of vitamin A and E that will soften your skin and make it smooth. You just need one ripe avocado and you need to blend it. Once you blend it enough and make it creamy you can use it as a shaving cream. And the best part is that you can store this avocado cream in the refrigerator and use it until you run out of it. 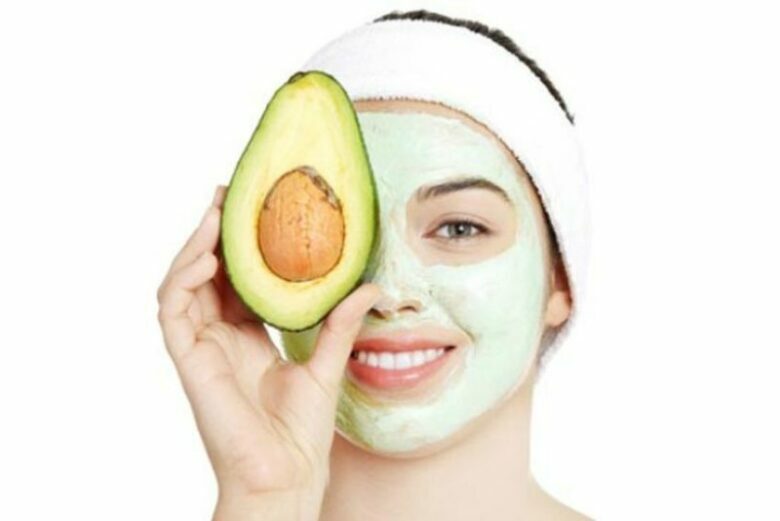 Avocado is full of vitamin A, D, C and B-3, and all these vitamins can help you get rid of those nasty dark circles. Mix half of the ripe avocado with 4 cucumber slices in a blender. Keep this mixture in the refrigerator and apply it every morning. 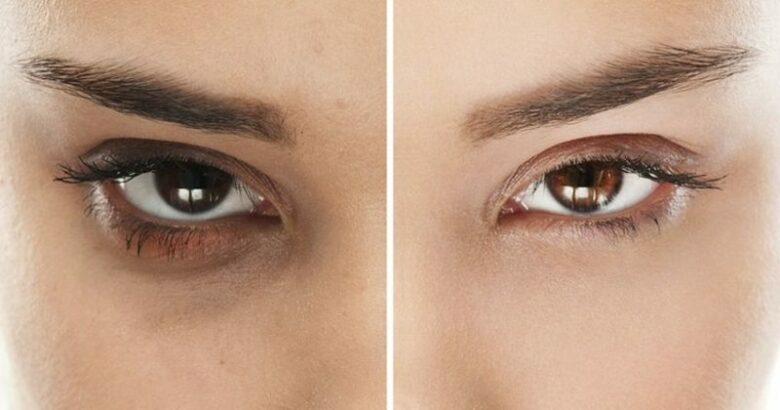 Keep it under your eyes for 25 minutes, and after that, you will look great. 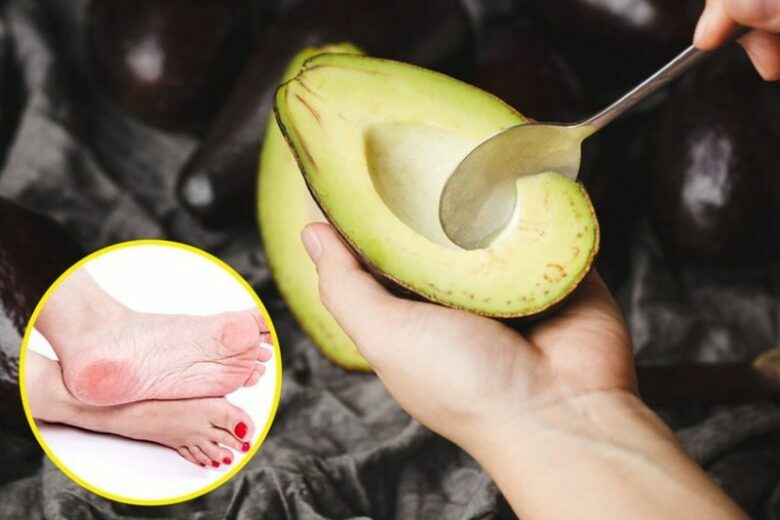 If you are having hard times with cracked heels, this avocado scrub will help you soften them. All you need is a half of ripe avocado, 1 tbsp of salt, 1 tbsp of sugar and 2 drops of orange essential oil. Mix it all together, and after taking a bath massage your heels with this scrub and leave it on for 15 minutes. The results are even better if you wear warm socks after rinsing this scrub with warm water. If you want your heels to stay perfectly soft repeat it 2 times a week. This maybe is a bit of a difficult recipe compared to the others, but you won’t regret if you decide to try it out. Your skin will be moisturized, fresh and clean. First, you need to mix 45 ml of water and 65 ml of lye. Then in a pan on a medium heat mix 150 ml of avocado oil, 130 ml of coconut oil, 130 ml of olive oil, 30 ml of almond oil, 45 ml of water and 170 g of avocado puree. You need to cool this mixture to room temperature, and when it’s done combine it with the first mixture. The final touch is adding 4 drops of mint essential oil or any other essential oil that you like. Pour the mixture once it’s smooth into molds and refrigerate it for 24 to 48 hours. 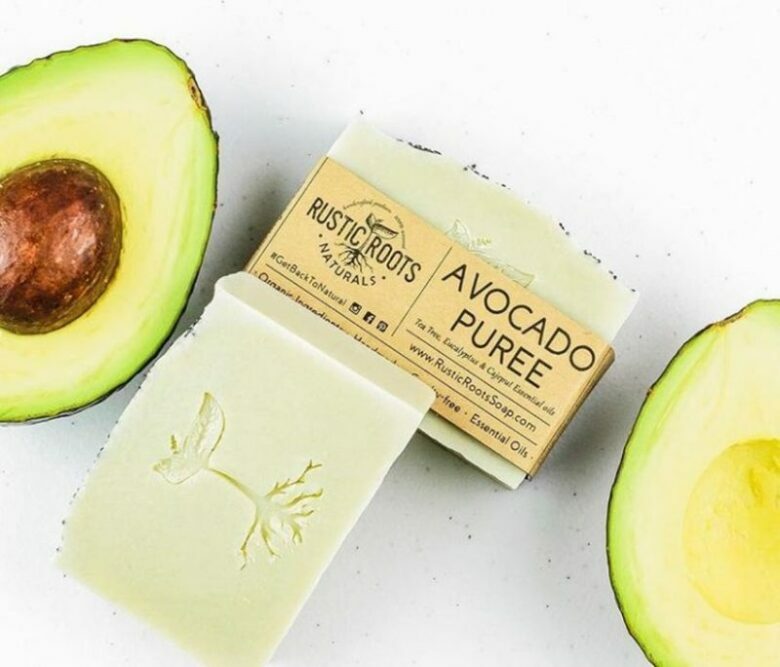 After that, you can enjoy your homemade avocado soaps, and you can even gift some of them to your friends. 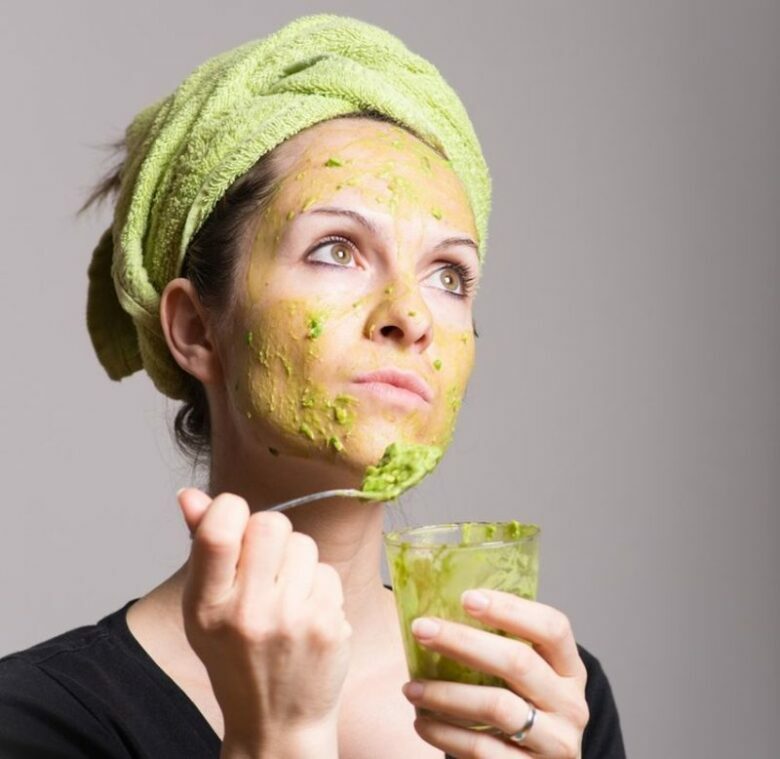 Did you know that you can remove your makeup with avocado, and make your skin soft? You can with this easy to make make-up remover. 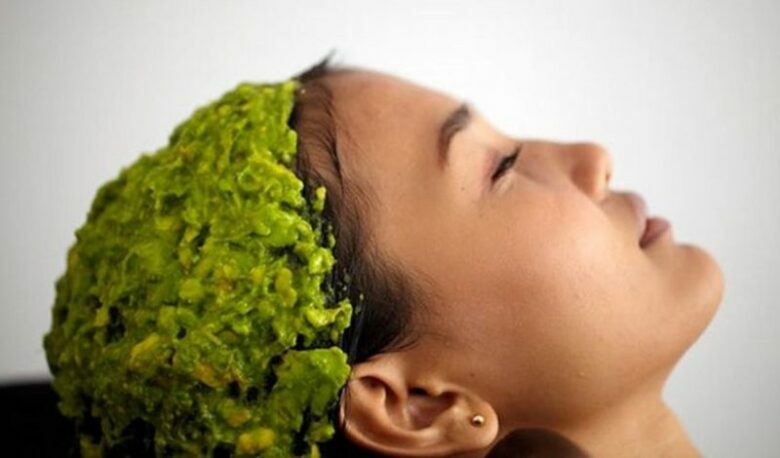 Make a mashed avocado pulp from ripe avocado, mix 1 tsp of it with 1 tbsp of avocado oil and massage it into your skin for 5 minutes, and wash your face with warm water after it. We are done with homemade beauty recipes, and we are going to show you some yummy recipes. First, delicious recipe is for avocado and lemon ice cream. You need to mix the pulp of 1 ripe avocado, 65 ml of lemon juice, ¼ tsp of vanilla, 1/5 tsp of salt, 130 ml of honey and lemon zest. Mix it all in a blender till it’s smooth. Place the mixture into molds and put them in the freezer. You need to wait for at least 5 to 6 hours, but it will be worth it. Your breakfast doesn’t need to be simple and boring. 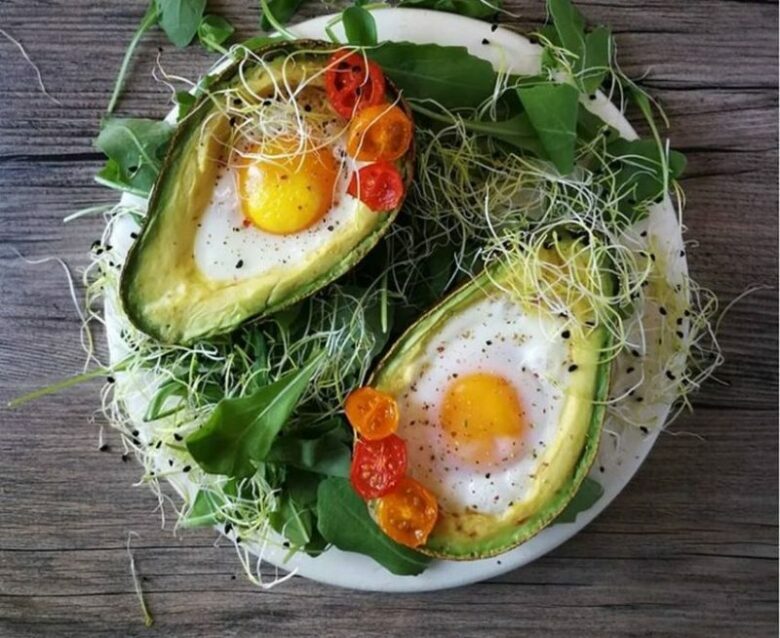 You can make this interesting meal that everyone will love, eggs in an avocado. Open an avocado and gently remove some of the pulp from the avocado halves but be sure to leave some inside. Beat up 2 eggs and place them in the avocado halves, or if you prefer, crack an egg directly into the avocado half. Bake them in a preheated oven at 350°F for 10 minutes. We can bet that you didn’t know that you can make this much desserts with avocado. And for this one, you can do everything in 5 to 6 minutes. 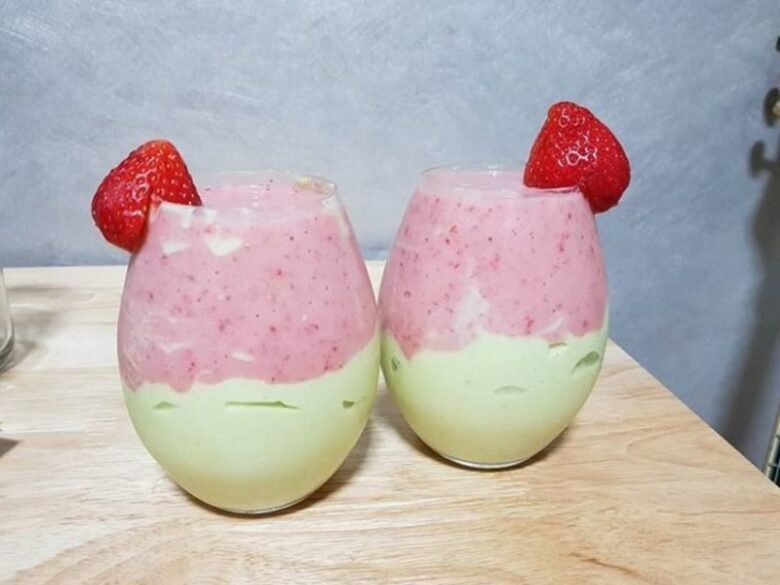 Blend 100 g of strawberries, the pulp of 1 avocado, 6-7 mint leaves, 30 ml of orange juice and 2 tsp of honey, and it’s done. So easy and so yummy. If you love chocolate but you are trying to have a healthy diet, you will love this recipe. You will need 6 dates and one ripe avocado, and 200 g of dark chocolate. Blend all the ingredients well and form balls from the mixture. 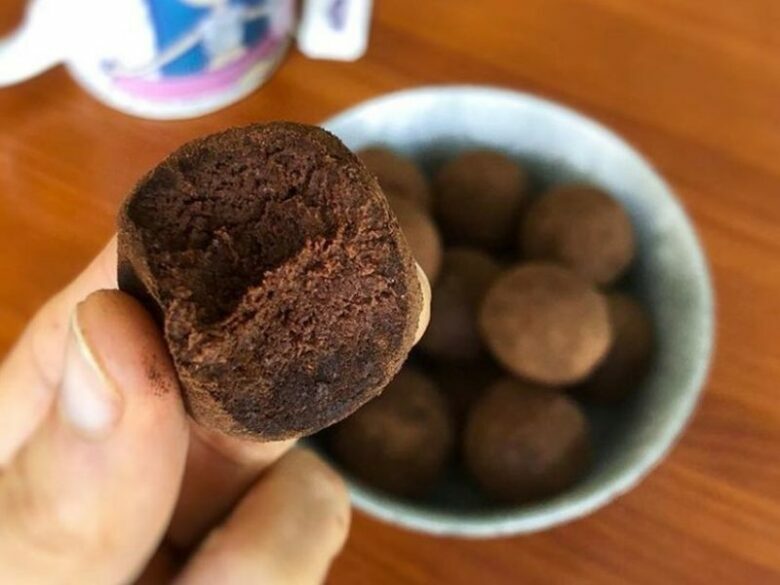 Roll the balls in cocoa powder and after 2 hours in the fridge, you will have the most delicious dessert. Another delicious and healthy recipe. 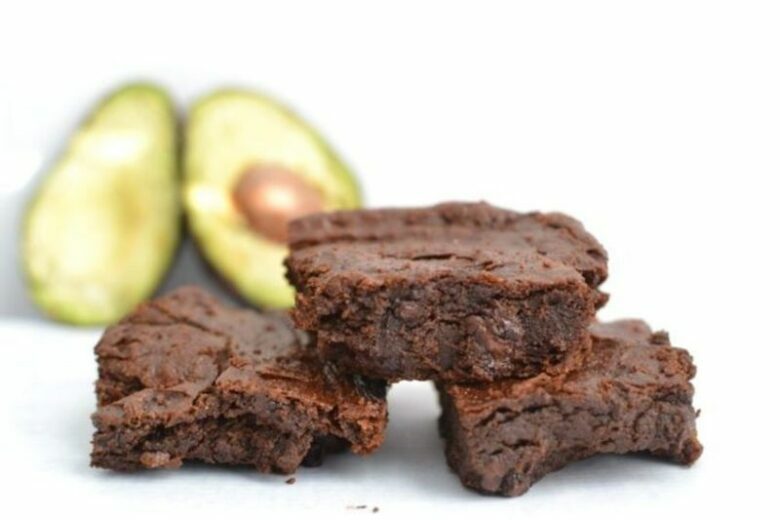 Before doing anything else preheat the oven to 356º F. Then blend 2 ripe avocados, 2 large ripe bananas, ½ cup coconut oil, 4 eggs, 1 cup of brown sugar, 1 cup of whole wheat flour, 1 cup of cocoa powder, and don’t forget the 1 tsp of salt. Once the dough is ready put it in a baking pan and bake it for 35-40 minutes, depending on your oven. If you like your toast with butter, but you like your health more, try this substitute for butter. Avocado has less cholesterol than butter, and it can be tasty as well if you season it to your taste. And it’s so easy because all you need is one ripe avocado and that’s it. Blend the pulp till it’s a smooth paste and it’s ready for your toast. You can add salt, pepper or paprika on top of it, or any other seasoning. 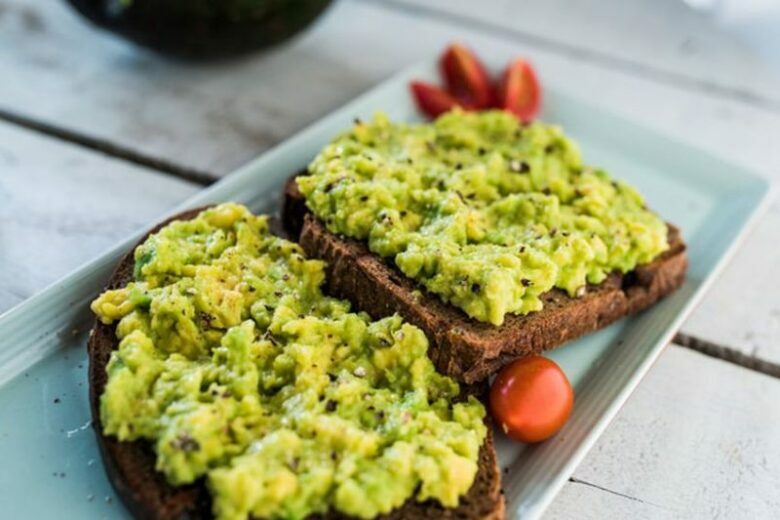 Avocado contains fatty acids, vitamins and a lot of minerals, so this is ideal for a breakfast that will give you the boost you need for the day. We are going to end this list with a drink. Maybe you didn’t know that an avocado pit is as healthy as its pulp. It has lost of antioxidants that can detox your body and slow down your aging. 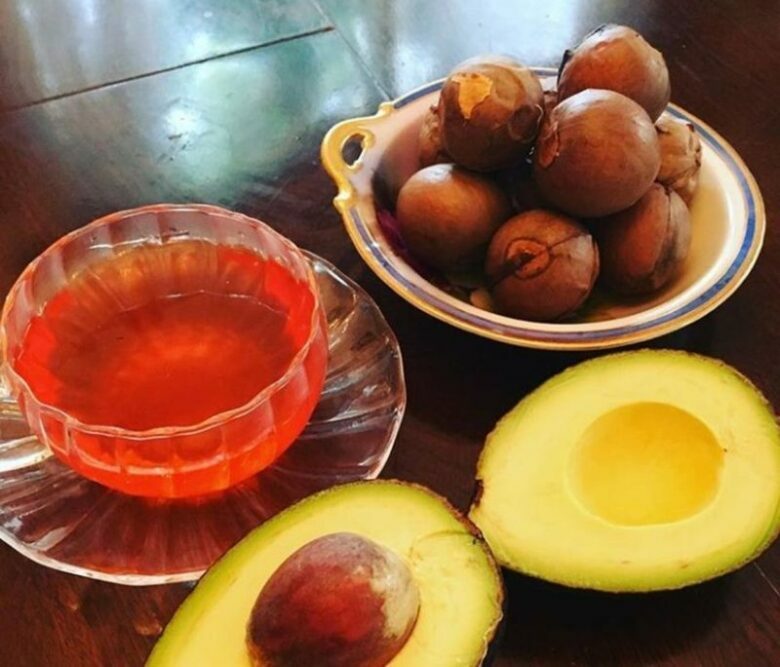 So next time when you make something with avocado, don’t throw away the pit, instead make an avocado tea. You should soak the pit in water and leave it overnight. After it’s soaked you need to drain the water, rinse the pit and cut it into pieces. Put the pieces in a kettle or pour 600 ml of boiling water over it and let it steep for 5-6 minutes. You can add honey to it if you like. Drink a cup of it a day and keep the doctor away.